The beach became the star last week when Leon’s grandson Eric came to visit. Eric is nine and lives close to the sere inland border of Idaho’s grain deserts. In other words: the lad had never been to the ocean. 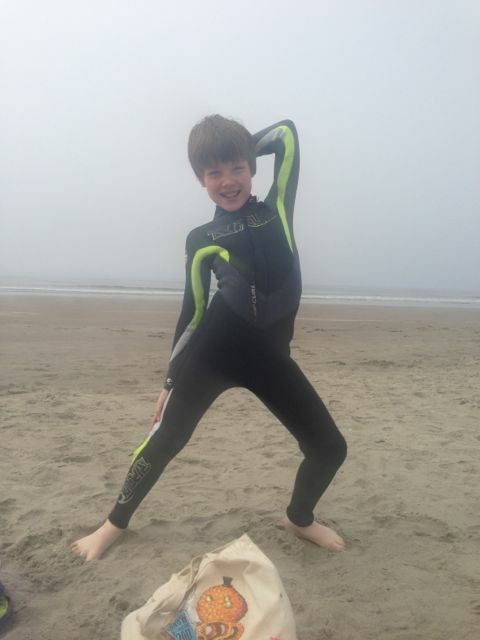 We set about fixing that exception with a short overnight trip to Stinson Beach that was ostensibly about taking the boy to the buoys but was really about eating deeply and well.